Over a decade ago, when we opened our first in-house clinic, the OHS realized its long time dream to replace our once leading-edge, but then outdated, voucher system for spaying and neutering animals post-adoption with a "no animal is adopted unsterilized" policy. Back then, we were frequently backlogged with animals waiting for sterilization surgery. Additional resources, a new clinic, and better technique has meant that now animals rarely wait long for sterilization. Now they wait for dentistry. The need for veterinary dentistry is a difficult reality faced by most, if not all, progressive shelters in North America. We simply cannot adopt an animal that may be in pain and tell the adopter that they have to spend a thousand dollars or more right away on their new pet. It isn't realistic. Many won't to do it. Many would simply not adopt that particular animal. But, not treating a cat or a dog that requires dentistry is not only unacceptable medically, it is cruel. Imagine you suffered severe pain in your mouth from rot and abscesses for the rest of your life. pulled at the OHS, find their second chance. So, we struggle with this new challenge. 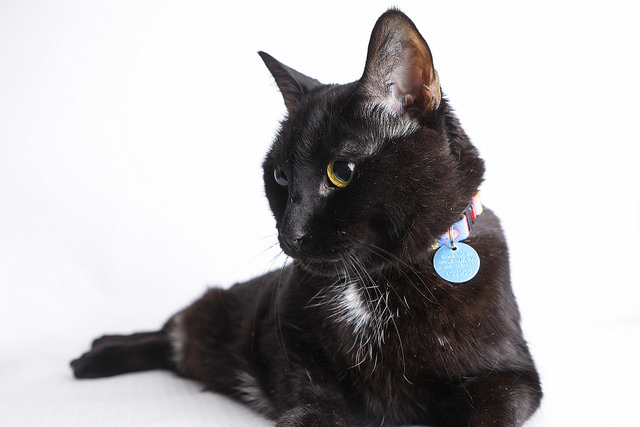 An eight-year-old cat likely has a long and healthy life ahead. But many need dentistry to achieve it. Beyond the issue of serious pain, our chief veterinarian tells me that untreated, periodontal disease can lead to very serious problems like jaw fractures from bone loss, infection of the jawbone, and nasal infections. And that aside from periodontal disease causing oral problems, it can also have systemic consequences, affecting the kidneys, liver and heart. We cannot, in good conscience leave an animal to suffer. While minor, or potential future dental issues are identified for adopting families, anything which likely causes pain has to be addressed before adoption. 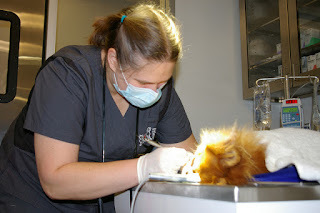 Dentistry for pets is not a luxury. We have to provide dentistry to save lives, and to give animals a life worth living.